Posted by: Ash on October 28th, 2015, in Guides. 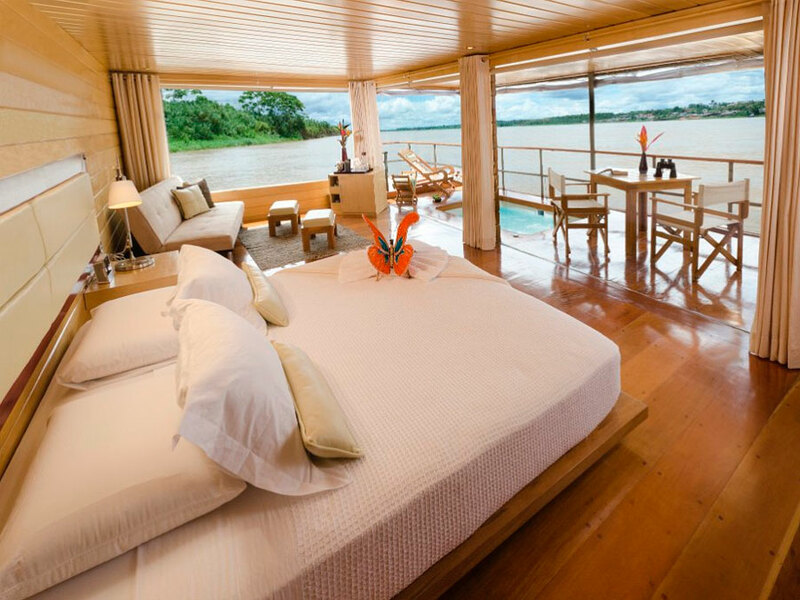 Tags: Amazon Rainforest, Amazon River, Lodges. 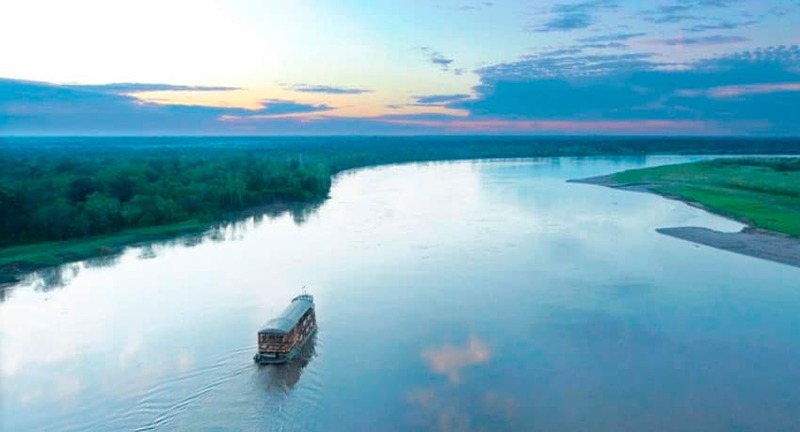 The Amazon is one of the world’s greatest rivers and flows from the trickles in the Andes to cross South America and join with the Atlantic Ocean in the east. 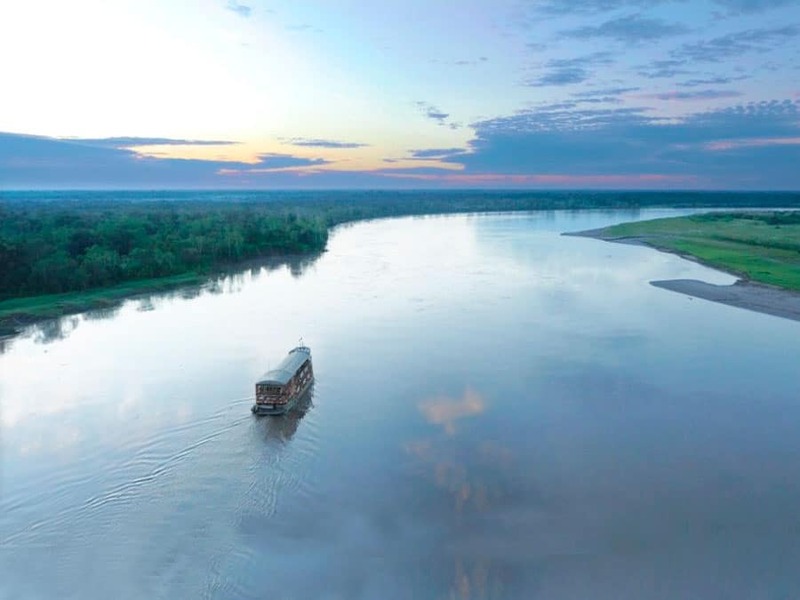 The mighty river has many tributaries and the Amazon acts as the heart of the world’s largest rainforest. These tributaries are the Amazon’s arteries bringing nutrients to the trees, plants, and animals, sustaining this incredible ecosystem. The Tahuayo River is one of these tributaries, which travels from deep in the Amazon Rainforest of northern Peru. The river joins the Amazon River about 18 km south of the village of Tamshiyacu, south of Iquitos city, and extends around 70 km into the rainforest passed many different oxbow lakes and a diversity of plants and animals. This is one of the Amazon Rainforest’s most biodiverse areas and the rainforest contains some incredible wildlife sightings. 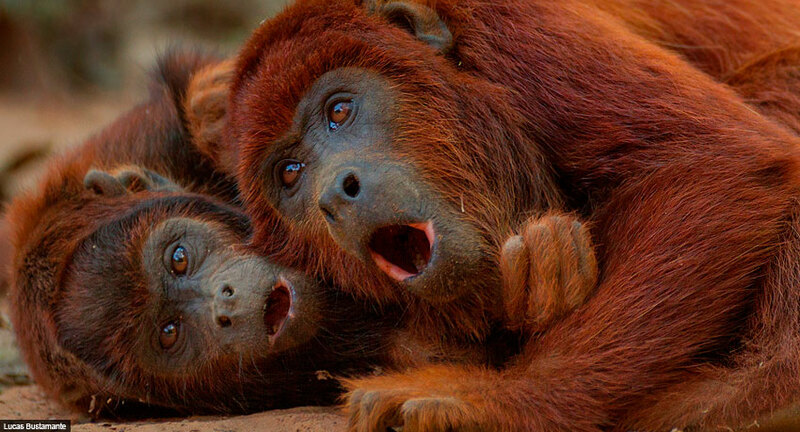 The Tahuayo River borders the protected area of the Tamshiyacu Tahuayo Reserve, which is a 420,000-hectare reserve established to protect the range of the rare red uakari monkey. This river has created many different oxbow lakes over the centuries, which are where the river once flowed but changed direction. Surrounding the river on its journey are now lakes that draw fantastic wildlife, such as caiman crocodilians, hoatzin birds, horned screamers, jacanas, tiger herons, parrots, and more. The biggest of these is Charo Lake which is a great place to see dolphins and one of the best places to fish for piranha. Other lakes include Cunshico Lake, Tabano Lake, Tapaje Lake, and Palmichal Lake. 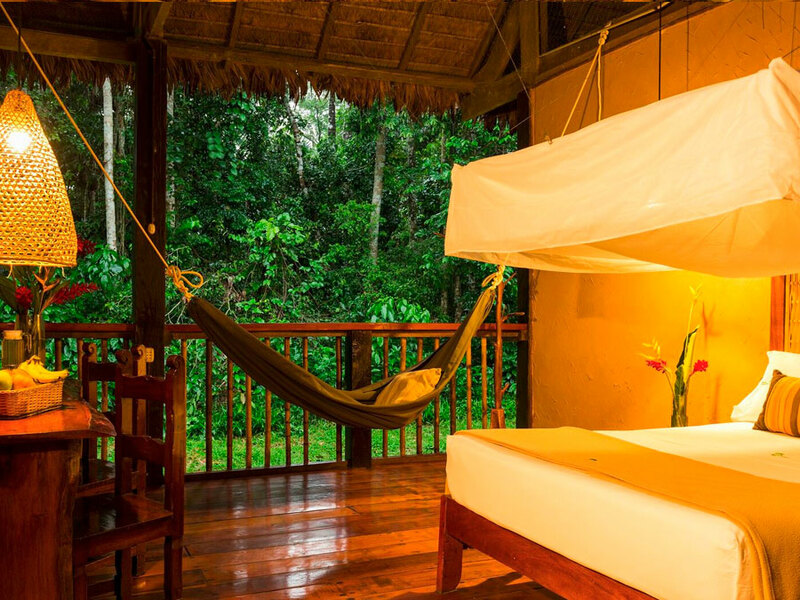 These lakes are accessible from the Tahuayo Lodge, a top rated tourist lodge voted as the best Amazon lodge in the Iquitos region. Other lakes accessible from the Tahuayo River Amazon Research Center, about an hour by boat south of the Tahuayo Lodge, are the Bufeo Lake and Yarina Lake. We will mention both of these fantastic lodges a little further down the page. The Tamshiyacu River is another of the Amazon’s tributaries located around 5 km south of the Tamshiyacu village. The Tamshiyacu River is at the northern perimeter of the Tamshiyacu Tahuayo Reserve. The Tahuayo River is then at the reserve’s eastern edge. Protecting many different animals, including the rare red uakari mentioned above, this is a great area of the Amazon Rainforest to explore to see some iconic wildlife. Home to around 600 species of birds, this is also a bird watcher’s paradise as you can see more species in this section of rainforest than in both the USA and Canada combined. 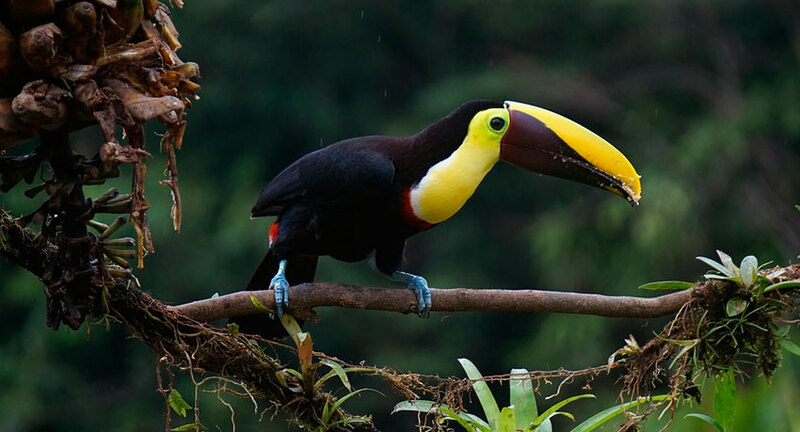 The reserve protects several different monkeys, colorful and interesting birds, jaguar, puma, tapir, a variety of reptiles, including black caiman and anaconda, and many different frogs, including the colorful poison dart frogs. Located close to the Tahuayo Lodge on the Tahuayo River, you can visit Frog Belly, an area of terra firme home to many different colorful frogs. This section has a conservation zone set up to provide breeding sites for a number of different amphibians, including harlequin toads and species of Dendrobates poison dart frogs. Visits to Frog Belly from the Tahuayo Lodge are often a favorite experience as you’re sure to see some different colorful frogs, which make for great photographs. 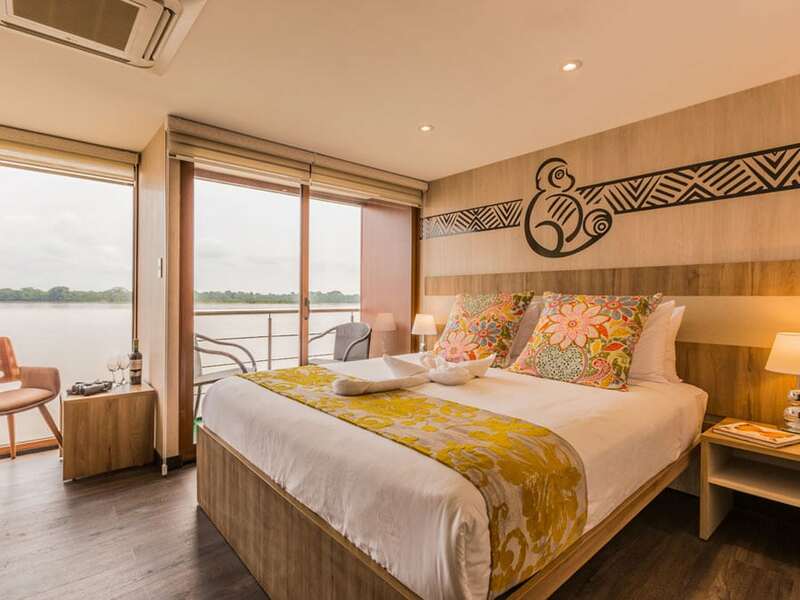 Along the Tahuayo River, you will find the Tahuayo Lodge, which is about 150 km from Iquitos and about 30 km down the Tahuayo River just after the isolated Chino village in the Amazon Rainforest. Here you’re assigned a private guide and custom itinerary to explore the Tamshiyacu Tahuayo Reserve to see some amazing Amazon wildlife, including exploring their primate trail grid on tours of 6 days or more. At the Tahuayo Lodge, you can hike many trails, explore the rainforest on motor boats, canoe the flooded forest, see poison dart frogs, enjoy guided tours to see several different monkeys, find many interesting birds, have a go at the longest zipline system in the Amazon to get into the canopy, and enjoy camping or even Amazon survival courses. For a bit more info, you can see an article on the Tahuayo Lodge. All the animal photos were taken on a Tahuayo Lodge tour around the Tamshiyacu Tahuayo Reserve. With your private guide, you will find a considerable diversity of species from the Tahuayo Lodge, such as pygmy marmosets, squirrel monkeys, hoatzins, horned screamers, and river dolphins. For some example of larger and rarer wildlife, you can also have a look at the article on the Tahuayo Lodge & Amazon Research Center camera traps. On tours of 6 days or more, you can visit the Tahuayo River Amazon Research Center as part of your Tahuayo Lodge visit. The ARC, as it is affectionately known, has a 1000 acre primate research grid where you can find several different Amazon monkeys, such as capuchins, tamarins, howler monkeys, sakis, squirrel monkeys and possibly uakaris. The ARC has access to more pristine rainforest and is a great place for nature lovers and adventure seekers. Because there is so much to see and do on the Tahuayo River, we recommend a visit of 8 days or more to have time to visit both lodges and enjoy all the main areas and activities. 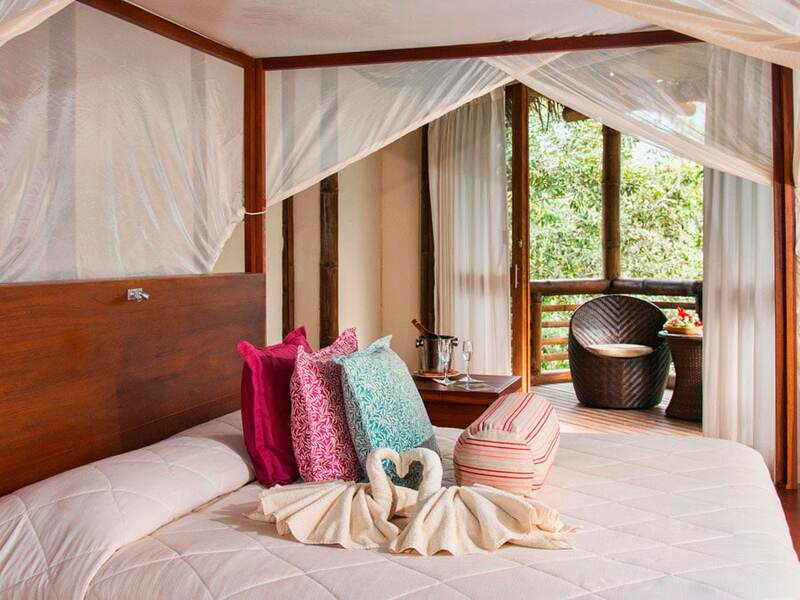 The lodge does accept tours of as little as 4 days, but you will only have time to explore the main Tahuayo Lodge. To reach the Tahuayo Lodge to explore the Tahuayo River and Tamshiyacu Tahuayo Reserve, you will be met at the Iquitos airport by your guide and will travel for around 4 hours deep into the Amazon Rainforest.